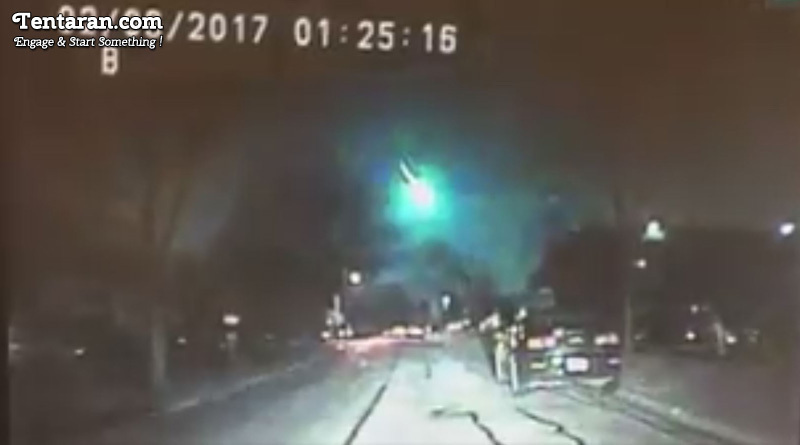 A meteor was witnessed over the Lake Michigan lighting up the sky on Monday morning. This was witnessed in several stated in the Midwest. Dashcam video from police cruisers in Wisconsin and Illinois captured the fireball streaking through the dark sky about 1:30 a.m. In addition to Illinois and Wisconsin, the American Meteor Society lists sightings in Indiana, Michigan and other states as well. Meteorologist, Jeff Last of the National Weather Service’s office in Green Bay, Wisconsin, says the meteor was accompanied by a sonic boom that shook houses in the region. He said radar shows the meteor passing over Lake Michigan, but he said it’s not clear if it landed in the water or if it broke up in the sky. ← Miley Cyrus performs Lakshmi Puja in her House ← What are the new Tax Rates Applicable from April 2017?